While not appearing impressed by a letter of congratulations from President Donald Trump, Dolores was elated to receive a package from the San Fransisco Giants that included a baseball signed by the team and a letter of congratulations. When a recent Giants game went into overtime, Dolores stayed up till after 1 p.m. to watch her favorite team. Centenarians are unusual, according to the CDC, though the number of Americans over the age of 100 has climbed in recent years to approximately 80,000. A former stay at home mom, Dolores first entered the workforce at 64. For 23 years she worked in the office of the Danville Community Church. Dolores retired shortly before her 90th birthday. In 2008, Dolores moved to San Luis Obispo to be closer to her daughter and grandchildren. Twice a week, you can find Dolores at the Las Brisas bingo games. She frequently wins and always has a good time! I’d be pretty excited to get a letter from Trump but congratulations on her long life! How awesome is this? Looks very happy. Though I’m thinking it was after 1 *a.m.* she stayed up! 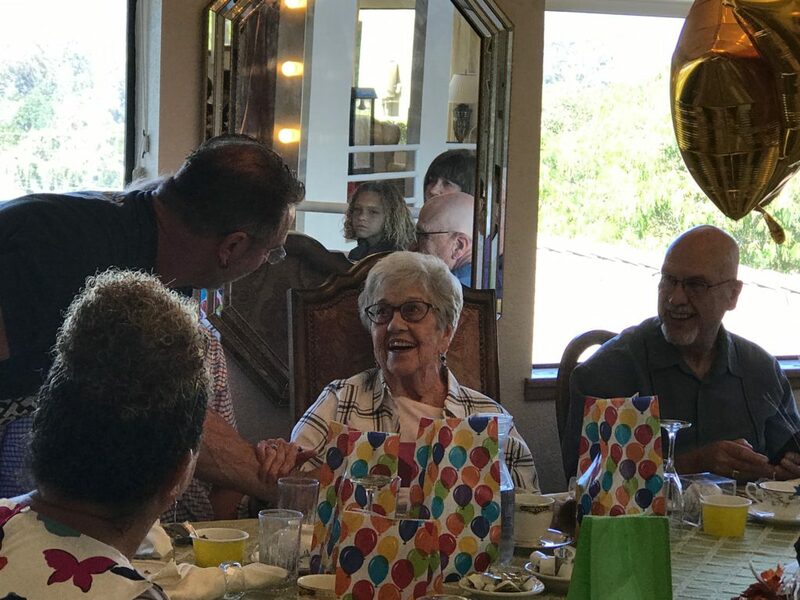 Happy 100th Birthday beautiful Dolores!